Distinguished Soviet director whose austerely poetic, deeply personal films made him one of the most treasured artists of his generation. Tarkovsky followed his prize-winning short diploma piece, "The Steamroller and the Violin" (1960), with a lyrical feature debut "My Name is Ivan/Ivan's Childhood" (1962). The film portrays a young boy's espionage activities with the Partisans during WWII and was awarded top honors at the Venice Film Festival. Tarkovsky followed it with the epic, allegorical "Andrei Roublev" (1966). Over three years in the making, "Andrei Roublev" follows the life of a 15th-century icon painter as he loses faith in society, god and art, finally achieving spiritual revitalization in the famous, concluding bell-making scene. Shelved for several years for its references to the plight of the contemporary Soviet artist, the film was released to wide acclaim in the West in 1969. Like most of Tarkovsky's work, it is a slow-moving, sumptuously textured canvas with a richly emotional climax. Most of Tarkovsky's subsequent films deal in some degree with the other-worldly; in "Solaris" (1971), a space-traveler's fantasies are conjured into reality; "Stalker" (1979) takes place in "the zone," a mysterious, forbidden wasteland; and "The Sacrifice" (1986) unfolds in the final hours before a nuclear armageddon. "The Mirror" (1974), an intensely personal, multi-layered aural and visual poem, recalls an artist's youth in the Soviet Union during WWII. Tarkovsky's real-life mother plays the mother of the artist and his father, the esteemed poet Arseniy Tarkovsky, reads his own works on the soundtrack. Tarkovsky began working outside the USSR in the early 1980s, making "Nostalgia" (which he himself described as "tedious") in Italy in 1983. He then employed several members of Ingmar Bergman's filmmaking team, including actor Erland Josephson and cinematographer Sven Nykvist, to make "The Sacrifice" (1986) in Sweden. Josephson plays a celebrated, retired artist/intellectual who can only avert a worldwide holocaust by making a supreme personal sacrifice. Visually sumptuous and extremely slow-paced (the opening shot is nearly ten minutes long), the film is a supreme summation of what Tarkovsky considered his most crucial concern: "the absence in our culture of room for spiritual existence." "The Sacrifice" won a Special Jury Prize at Cannes in the same year that Tarkovsky died of lung cancer in Paris at age 54. 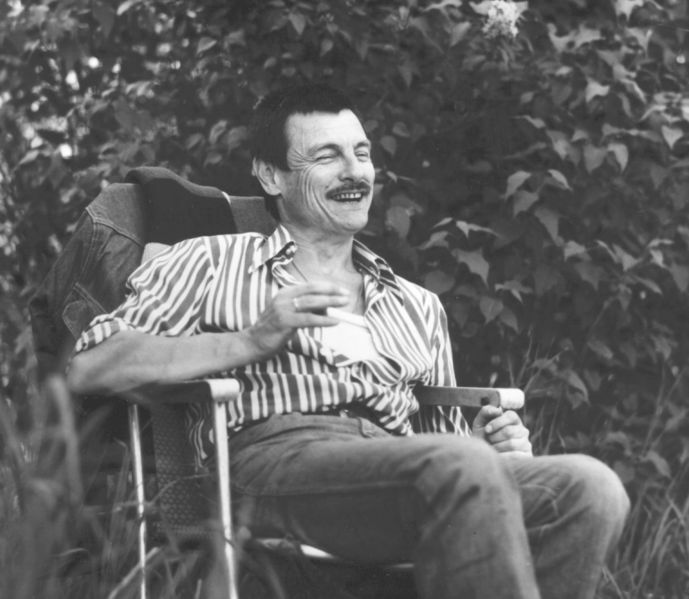 The day Andrei Tarkovsky would have turned seventy was observed in style. The evening in his commemoration in the glittering hall of the New Opera was emceed by no less a figure than the nation's minister of culture. The audience was packed with the capital's creme de la creme. The late celebrity's gala bronze head-and-shoulders (his head proudly cocked, his clever eyes squinting), sculpted by academician Burganov, was unveiled at the Tarkovsky Museum in an old downtown Moscow lane. And everyone who wrote about the deceased filmmaker this past April made it a point to compare him to Dante, Leonardo or Mozart…. Russia will always be a part of our Being,wherever we are - She will never forget us, nor will we ever forget her.